This new issue of the journal Historein reflects on the breakthrough events of 1968 and the changes brought about during the “Long Sixties”. The volume seeks to trace the intellectual repercussions of the 1960s as a political, social and cultural phenomenon. One of the issues that the present volume questions are the linkages between past and present in terms of cultural politics, activism and critical theory both in Europe and the United States. When did ’68 end, meaning how far do its effects stretch? Whatever happened to the utopian surplus of the 1960s? What do we mean by contentious politics and anti-war campaigning today, and to what an extent are they part of the heritage of the ’60s? Do the messages from the Sixties still sound iconoclastic in the present? Themes of the articles include: the questioning of the neutrality of science in the 1960s; the discovery of performativity in 1960s protest, art and science; the US anti-war movement past and present; the connections between the protest movement and the anti-Vietnam movement in the 1960s; the representations of the international youth movements in communist youth identities in 1970s Greece; art movements in the 1960s and the debates about modernity; 1968 as an epistemological catalyst for social movement theory; great expectations and disillusionment in terms of British education in the 1960s; temporality, territoriality and cultural transfer in the ‘long Sixties’; the problematic intellectual repercussions of the 1960s. The takes on ’68 in the volume differ in terms of approach as some look at specific national contexts whereas others adopt an exclusively comparative, transnational or global approach. 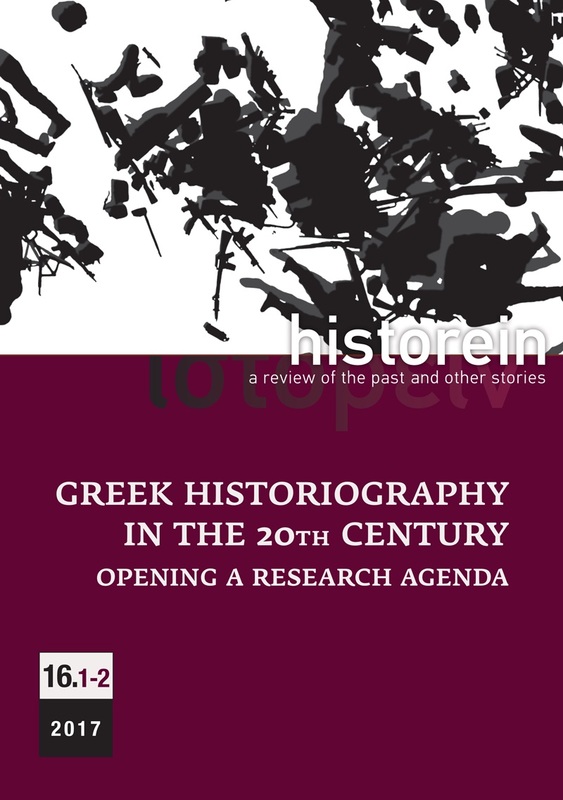 The case studies discussed, including Greece, the UK, West Germany and the United States, link the global trends as they emerge from the articles with a broader or a more theoretical scope. Accordingly, the aim is to reveal the various connections, the many ’68s, the synergies, the open as well as the subterranean impact of this moment on the history not only of different sociopolitical contexts but also of diverging fields of knowledge. Σε αντίθεση µε µια επετειακή λογική επικεντρωµένη συνήθως στον απόηχο των γεγονότων στην ελληνική περίπτωση, το τεύχος υιοθετεί µια συγκριτική, δια-εθνική προσέγγιση στο φαινόµενο «1968», ερευνώντας διασυνδέσεις, πολιτισµικές µεταφορές, αλληλεπιδράσεις, συνέργειες, υπόγεια ρεύµατα. Κεντρικό ερώτηµα που διατρέχει τον τόµο είναι η σχέση εκείνης της εποχής µε τη σηµερινή, η σηµασία της ιστορικοποίησής της. Πώς την τακτοποιήσαµε στη συνείδησή µας και τι απέγιναν τα µείζονα αιτήµατα αλλαγών και οι προσδοκίες ουτοπικότητας; Τα ερωτήµατα απλώνονται στη διανοητική ζωή, στην κριτική θεωρία, στην επιστήµη και στην τέχνη που ακολούθησαν το 1968. Όπως έχει γίνει πια παράδοση και αυτό το τεύχος περιλαµβάνει ένα πλούσιο παράρτηµα µε βιβλιοκρισίες οι οποίες θα προκαλέσουν συζητήσεις.